Most of the world considers rice Asian in origin, but rice also has deep African roots. While Oryza sativa was domesticated in Asia, the only other domesticated species, O. glaberrima, is African rice. AfricaRice’s genebank currently contains almost 22,000 accessions, 85% of which originated in Africa. 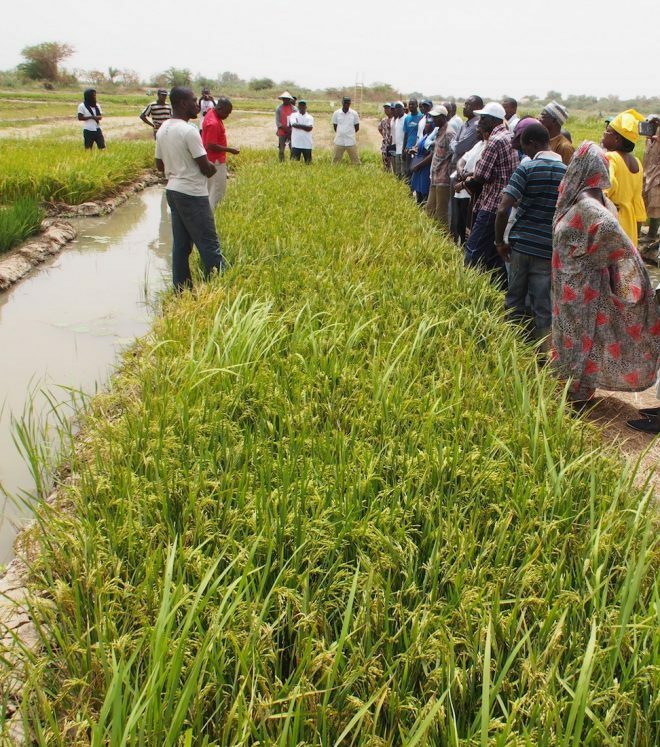 In addition to the two cultivated rice species, these include the five African crop wild relatives. Long-term conservation is carried out at its new genebank at Bouaké, Côte d’Ivoire. Characterisation and evaluation of crop diversity are major activities at AfricaRice, with special attention being given to screening for resistance to major diseases and environmental stresses. As a result, genes for resistance to diseases and pests such as rice yellow mottle virus (RYMV), blast and African rice gall midge are now identified. The GRU is collaborating in studies to use high-throughput precision phenotyping to identify further useful traits. Early flowering and tolerance of stagnant flooding are traits that are also being explored in the collections. Other important activities include the restoration of lost crop diversity to countries affected by war, provision of conservation services to NARS, and training and capacity building. A formal germplasm health unit is in the process of being set up. Key staff: Genebank researchers: Fatima Bachabi, Dro Daniel Tia, Goungoulou Alphonse Junior, Kpeki Bienvenu.